Dikom Sud is the trade fair for digital municipalities and other public entities such as churches and schools. The portfolio of the exhibition covers every aspect of information technology. 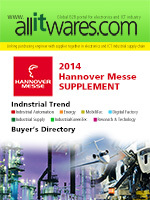 It will be held in Frankfurt, Germany & being organized by H & K Messe GmbH & Co. KG. Municipal Commissioners and City, Public Administrators & Civil Servants, Central and State Governments, Elected Office Bearers, Government & Quasi Government Officers, Supplies and Disposal Department, Housing & Building Department, Public Works Departments, Public Utility Providers, Civil Defence & Public Safety, Departments like Fire, Health Services etc. Profile for exhibit includes state-of-the-art products, technologies, equipments, machineries and services for Municipal / Local Governments, churches and schools covering areas like Water Supply, Sanitation, Sewerage, Waste Management, Transportation, Traffic, Fire Safety and Security, Environment, E-Governance, Infrastructure Development, Public Utilities etc.